Training and coaching is something that I have always done, and after building a successful career as an accountant and management consultant in Big 4 firms, it was a natural move to start my own business in training and **Contact Detail Removed**. In 18 years of professional experience, I have worked with some of the largest and best-known organisations in the world, and some of the smallest. Past clients include major business schools, government departments and Big-4 accounting firms, among others. Training is available in sales skills and confidence; presentation skills and confidence; motivating and leading teams; personal and professional impact; personal branding. Also coach individual managers and executives on the same topics. My focus is on communication as the keystone of commercial success, particularly its impact on our own performance and that of others. 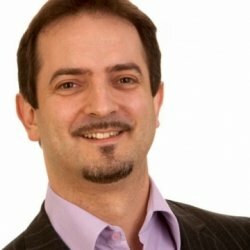 Building on the tools and techniques of NLP, and almost 20 years of professional experience, I adapt my training style to the individuals in the room to maximise learning and retention. At the same time, the breadth of my professional experience allows me to communicate with staff from all areas of an organisation, and at all levels from the shop floor to the boardroom.